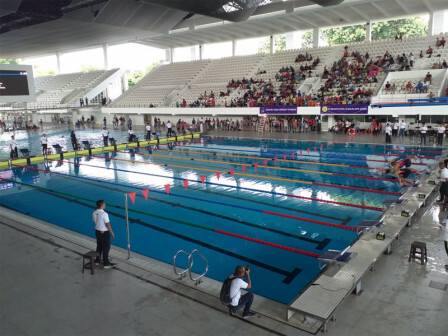 Jakarta Youth and Sport Department (Dispora) holds swimming championship for students at provincial level in Aquatic Stadium, Gelora Bung Karno (GBK), Central Jakarta. This championship is held eight times in a year.
" Swimming championship is held as one of our efforts to prepare prospective swimming athletes for Jakarta"
Jakarta Dispora Head, Achmad Firdaus explained, there are 580 students from early childhood education program (PAUD) up to junior high school who participate in this event. "Swimming championship is held as one of our efforts to prepare prospective swimming athletes for Jakarta," he mentioned, Saturday (3/23). He also uses this chance to find good swimmers who have potential to be swimming athletes. "We will continue train swimmers who have potentials as athletes thus they are ready to compete at the world level, " he stated.